From Captain's Daughter to Army Mom: Tweaked to Perfection! better now! But seriously, what do you think of my new console table!?... I, love it! 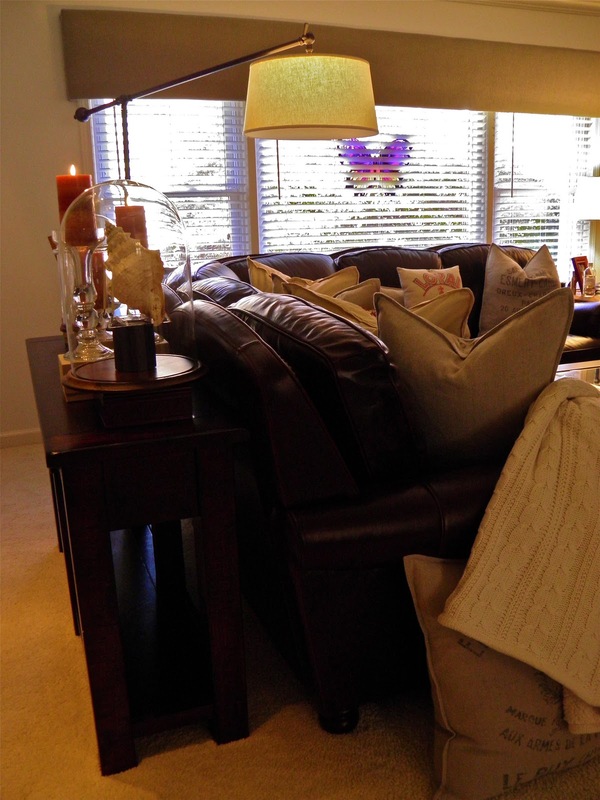 from Pottery Barn work, but I had to finally admit that it really was just too short! other side of the sectional just wasn't going to work for me! I needed five more inches, and this console table delivered! around and found them calling my name from a tiny booth in the rear of the store! Marked: Handcrafted in Portugal for Great City Traders, San Francisco 94103. They are heavy! And, at $36 for the pair, they were so obviously meant for me! one on the cocktail table as a centerpiece. The possibilities are truly endless! married in 1985, we love President Reagan, so it's now part of our holiday decor! that I put something old back into use again... I would say I did pretty darn well! able to store more without them. The center cabinet with the door stays though! 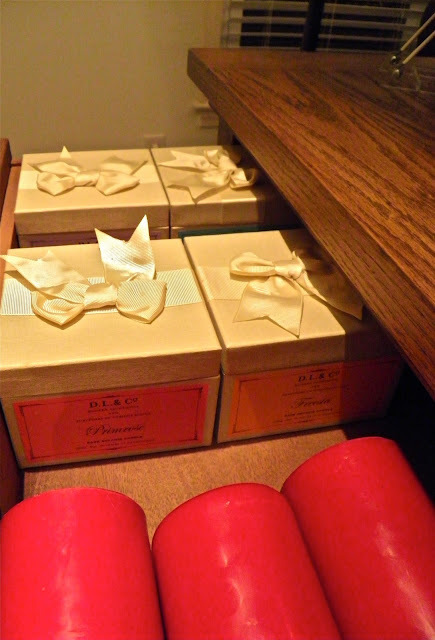 Because it hides my candle shopping addiction perfectly! And, so do the drawers! console table, I feel like all my tweaking has finally paid off... Big time! I can *hear* the excitement in your voice. 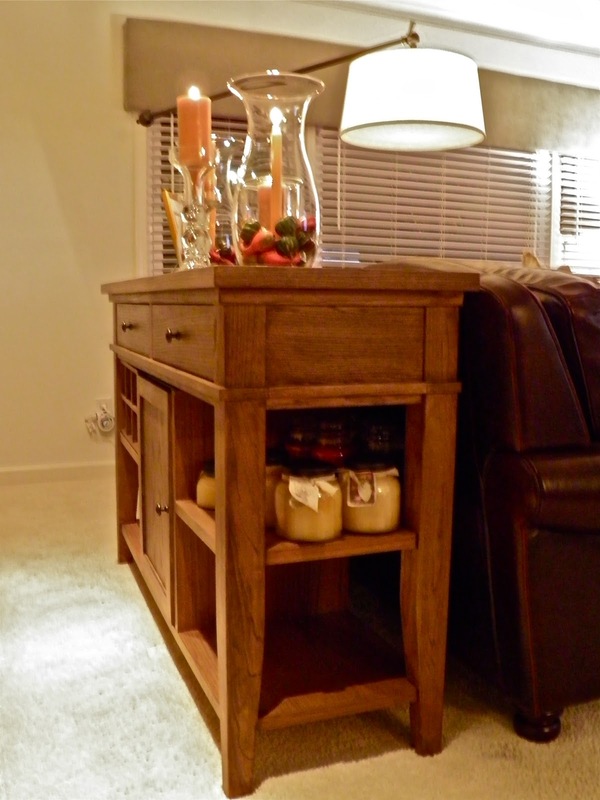 So happy for you that you found the perfect console table. It looks great and I love all the storage room. Yes, those hurricane lamps are definitely year 'round decorating items. Happy Thanksgiving to you and your family as you celebrate in your beautiful home. 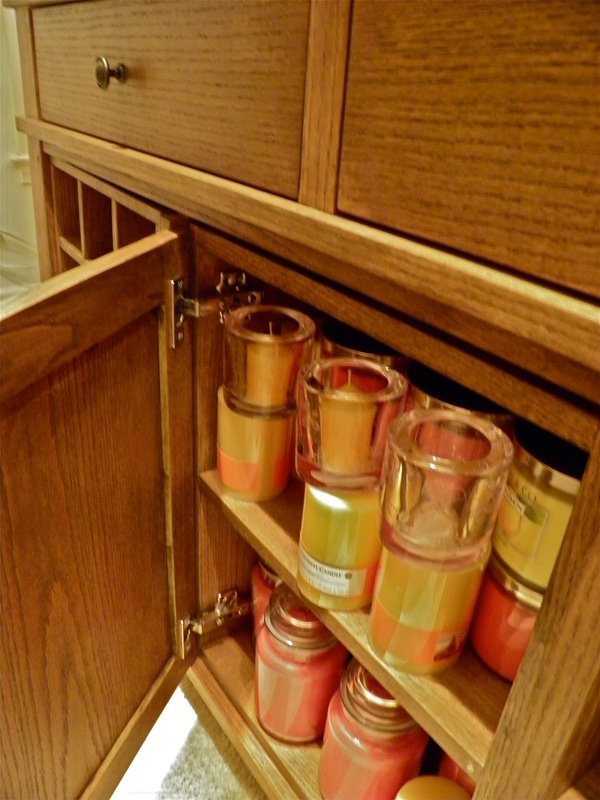 Nice console and the storage area for your candles works so well. I really like the sea shell. are you sure you don' want to spend your savings on more candles?? lol your table looks great I like! Did the Ranger find a car he likes? Black Friday Road Trip with my Boys! This is the Last thing..
And then... The wind blew!